Sony Ericsson has show off its latest C510 Cyber-shot phone, introducing its Smile Shutter technology to both its new handset and the older C905 as a free firmware upgrade. The C510 Cyber-shot is at the lower end of its Cyber-shot range, bringing a 3.2MP camera to 'even more consumers and markets worldwide'. 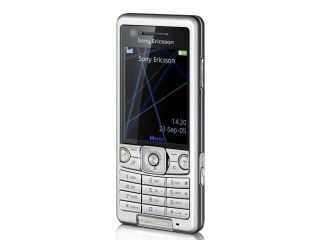 Of course, that means that words like 'accessible' and 'affordable' are used in Sony Ericsson's description of the phone. "We have been leaders and innovators in the camera phone segment since the company was started," said Sony Ericsson's Sven Totté. "Now we are delighted to unveil the C510 Cyber-shot, our most accessible Cyber-shot phone to date which includes a host of new features normally found on more premium phones. "Features like Smile-Shutter, YouTube integration and Snapfish by HP integration make the C510 Cyber-shot a really fun mobile phone to use. "This phone will enable us to engage new markets and consumers to our Cyber-shot phone experience." Also of interest is the news that the 8.1MP C905 will be given a firmware upgrade to bring the Smile-Shutter tech to the higher end handset.